In 1978, after undergoing considerable renovations, it was opened as the headquarters of the Solicitors’ Profession. With very fine plasterwork from the Georgian period and amazing stained glass window by Irish artist Evie Hone, this place is in itself a piece of art. How fitting therefore to be invited by TP Kennedy, Director of Education at the Law Society of Ireland, to put together a visual art exhibition to “introduce to an audience a diverse and dynamic range of work created by a new generation of talented artists.” This was an opportunity for Catherine O’Riordan, gallery Director and Curator of COLLISION, to showcase many different forms of visual art in a setting that has always supported the arts. Exposing the artworks of many different artists to an audience of young talented peers. This collision of contemporaries is where the name for the exhibition came from. Art and Law colliding in a unique and historic location. With 85 artworks in the exhibition, this is one of the biggest and most exciting undertakings for SO Fine Art Editions. 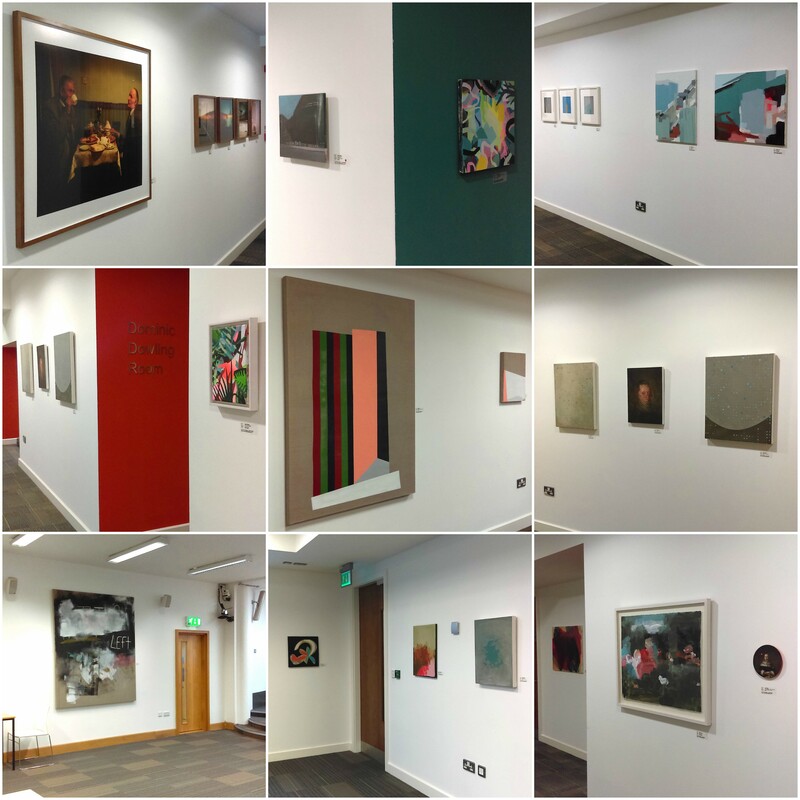 The works chosen offer a very broad picture of contemporary art in Ireland and the artists included here show such talent and commitment to their profession that it has been an absolute pleasure to curate. The exhibition continues until Christmas and if you have a chance please come in and take a look around. It is a treasure trove of beautiful works that can only do the soul good! See images of the work here.